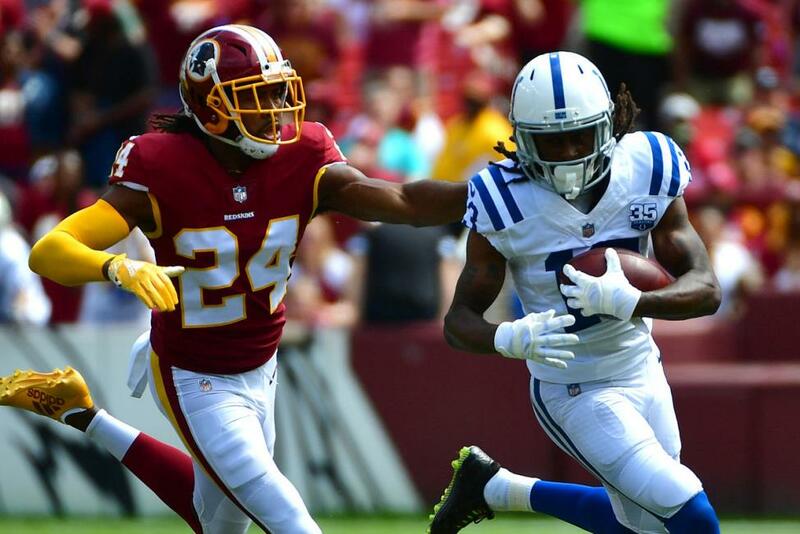 Washington Redskins cornerback Josh Norman was burned for a long touchdown pass in Monday night's loss in New Orleans, but that wasn't the reason he was benched to start the second half, according to one report. "At halftime, according to my source, he put his headphones on while the coaches were addressing the team," Sheehan said on the podcast, per the Washington Post. "Jay Gruden told him to take them off. He either didn't hear Jay or he ignored him, but with that, I was told, the headphones were removed. By whom? My source says that he believes it was Gruden who removed the headphones from Norman's head. But regardless, Gruden benched him to start the third quarter, and that was the reason why. "My source also tells me that there is not a lot of good vibes when it comes to Norman among several of the coaches right now. Not much they can do about it." "We talked about some things at halftime," Gruden told reporters about Norman. "Had to cool him down a little bit. Everything's fine. It'll be back to normal, and he'll play the rest of the year." Norman chalked it up to a coach's decision while speaking to the media after the game. "Whatever Jay said, that's what we're going to go with. I don't have anything else more to say on the issue," said Norman. "At the end of the day, yes, I'm a fiery competitor. Never want to come off ... But whatever the head coach says, I'm a go for it. That's the chain of command. He's in charge ... I respect the head man in charge." Norman is in his third season with Washington. He signed a five-year, $75 million contract as a free agent in 2016 after spending his first four seasons with the Carolina Panthers. The 30-year-old Norman earned his lone Pro Bowl selection in 2015, his final season with Carolina. He had a career-high four interceptions that year, returning two for touchdowns. Norman will get a chance to see his former teammates when the Panthers visit the Redskins on Sunday afternoon.